It is anticipated that the area will see several rounds of rain and storms over the next seven to 10 days. Cumulative rainfall from these events has potential to cause significant flooding across the region. Now is the time to prepare. Though it may be minor amounts of rainfall each day, the cumulative effect is the major concern due to the already high water tables and recent record rainfalls. This will lead to increased runoff and rising water levels. There is a possibility for the area to experience flash flood and/or areal flood warnings in the coming days. Access to homes or properties can be impacted if culverts become plugged in high water situations; area residents are encouraged to remove debris from private culverts ahead of the anticipated rains to ensure the runoff can move downstream smoothly and decrease the impacts to homes and roadways. Should the water rise over roads, remember: Turn Around, Don’t Drown. If your home or access is known to be impacted by high water, it is encouraged that you begin making plans and preparing now. While it is uncertain how much rain will fall, it is advisable to hope for the best and prepare for the worst. Richland County and the surrounding area have experienced repeated flooding in the past several days. Due to these flood events, there have been many reports of homes being damaged by flood waters and other storm related hazards. At this time, Richland County Emergency Management is working with Great Rivers 211 to collect information from residents regarding these damages. 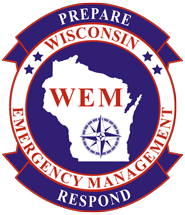 Damage assessment data will be shared with Wisconsin Emergency Management which the Governor’s Office will utilize to request Emergency Aid from FEMA. If you have experienced damage to your primary residence or business, please dial 2-1-1 to speak with someone to report the extent of the impact to the home or business. If you are renting, you may still report the damage; however try to coordinate with your landlord to ensure that duplicate reports are not being filed. If you are a farmer and have experienced crop damage, Emergency Management encourages to contact your farm service agent as they will be able to better assist you. For road closure information or other flood-related questions, call 647-8187. Please be patient, as lines may be busy with other callers.